Q1. You served in U.S. Army for more than 28 years before retiring as a Colonel, and you now run your own business. What made you decide to run for public office? Keith Blowe: Serving in our Armed Forces all over the world was truly a humbling experience for me. I was honored to have the opportunity to work with and lead our young soldiers, airmen, Marines and Coast Guardsmen. They demonstrate every day what true sacrifice is by helping and serving others in far-away lands while their families go on without them. About five years before our retirement we decided to come back home and take over the family farm. Once we returned home we were greatly disappointed in the progress the County had made in regards to basic necessities such as broadband, libraries, grocery stores and recreation facilities throughout the County. I began going to Board of Supervisors meetings and serving on various community boards to support my community. As a trained strategic planner in the military it became clear that our county did not have a clear plan and vision of how to move the County forward for the future. As the scriptures tell us – a people without a vision will perish. My overarching goal was simply to help our County make our community a desired place to live, work and play as opposed to having to go to other areas to obtain what I consider to be basic necessities. It was and is totally unacceptable for me that daily we send our young military members to undeveloped countries and within 24 hours we can communicate (talk & video) from one end of the country to the other but right here in Virginia, 45 minutes from the State Capital, our citizens cannot maintain a phone call without interruption or have access to broadband internet service at a reasonable price. This was the primary reason for me running for elected office. Q2. 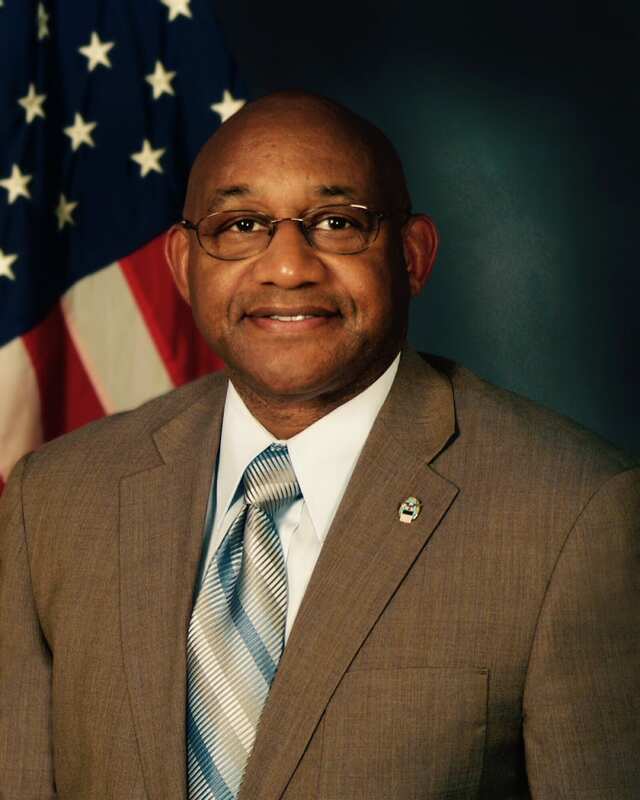 You served in many leadership roles in your Army career, including as Executive Officer to the US Army Inspector General and Command Provost Marshal at Training and Doctrine Command. How did this training prepare you to serve in a leadership role in civilian life? How does civilian leadership differ? KB: Training is critical for advancement within our military. It occurs in two ways – on-the-job-training and formal classroom training. The military training model is one of “Continuous Learning” and exposes all to working with diverse groups as well as in diverse environments. This model ensures that everyone is operating from the same foundation. In a sense ADAPTATION is the critical link once the training has taken place. So, without a doubt, “Continuous Learning and Adaptation” have been critical aspects of my military training that have facilitated my transition to civilian leadership positions. Although I bring a wealth of experience and education to my position as a Supervisor, I continue to seek out and attend training geared to this position, to adequately prepare myself for serving. As an example, I recently completed the VACo sponsored 18-month Virginia Certified County Supervisor Program. Dr. Martha Walker and Dr. Mike Chandler provided a rich learning environment with their years of experience in education and government organizations. Through their guidance and the experience of learning from other BOS members from across the Commonwealth, this was the most enriched learning experience that I have encountered since leaving the military. One of the biggest differences in military and civilian leadership is that unfortunately, everyone is not operating from a common foundation in the civilian sector. The Virginia Certified County Supervisors’ Program provides this common foundation for elected officials in Virginia. Regrettably, far too many elected officials attempt to execute their duties without attending what I believe to be the most significant training opportunity they could have to meet the needs of the citizens they were elected to serve. Q3. Virginia is home to many veterans and the last several administrations have made veterans’ issues a special area of focus. You’ve mentioned telemedicine as a great area of opportunity for helping veterans in rural locations connect to service providers. Are there other recent veterans’ services initiatives – at the federal, state, or local level – that you would point to as particularly promising? KB: Veterans in rural communities face special challenges. Providing medical support remotely and via the internet are critical advances that provide promise for rural areas. Access to broadband will be critical in making this a reality in Southeastern Virginia and other rural communities across the country. I believe the initiative to streamline the process for Veterans applying for and appealing benefit decisions is long overdue. With today’s advances in technology one should not have to wait six months or more for benefit decisions. Tied to this initiative is the act of combining Department of Defense and Department of Veterans Affairs’ separate medical records systems into one record-keeping system. Additionally, reducing veteran wait times for medical care will greatly increase the overall care provided to many of our aging veterans. I am also excited about the “Accountability” initiative that will allow senior Veterans Affairs officials and other employees to be more easily dismissed for not adequately taking care of our veterans. Lastly, the $3 Billion GI Bill Expansion initiative will expand eligibility for reservists and Purple Heart recipients along with introducing the “FOREVER GI Bill,” which provides significantly more dollars for science and technology degree programs. This list is not conclusive but represents what I believe to be some of the most significant changes to the VA system that will positively impact veterans and their families in rural communities. Q4. In your view, what are the major challenges and opportunities facing Sussex County in the next 10 years? KB: The major challenges and opportunities facing Sussex County over the next 10 years include: Economic Development; Expanding / Updating critical water and sewage infrastructure; and providing an educated and trained workforce. These are not new challenges and they are pretty consistent throughout the Southeastern Corridor of the Commonwealth. If we are to be successful in meeting these challenges, partnerships and teaming relationships will be critical as we are stronger together than working independently. VACo will play a key role in assisting our rural localities in meeting these challenges. Q5. You’ve been involved with VACo since taking office, attending the Chairs’ Institute and serving on the Finance Steering Committee. What elements of your work with VACo have been most helpful to you in your service on the Board of Supervisors? KB: Beyond a shadow of doubt, my attendance and completion of the Virginia Certified Board of Supervisors Program has been by far the most significant resource for me in fulfilling my duties to County citizens. All elected officials should attend this VACo sponsored training to enable them to best serve their constituents. Q6. Could you tell us a little about your family? KB: Well, my wife and I met in the military over 30 years ago. She is a retired Ph.D., Clinical Psychologist from New York City. We have 4 adult children and 16 grandchildren who love visiting the farm. Our kids have varied backgrounds consisting of a Licensed Electrician; a Marine who currently serves as an IT Supervisor with the Veterans Administration; a University of Maryland graduate who is a stay-at-home mom / home schooler and a son who is a healthcare provider in Minnesota. As you can see our military lifestyle has created a diverse family that is spread out across the country. It is my hope, however, that one of the benefits to what I do as an Elected County official, is to help create an environment that will encourage them to make their home in Southeastern Virginia.